Packed with 21 classic amp models & over 45 different effects, the Fender Mustang GT100 digital amp can easily recreate classic tones or create brand-new sounds; pumping them out thru its 12" Celestion with 100 watts of power. Program your sounds in the studio on the Mustang GT’s large, full-colour LCD display or use the Fender Tone app to control your amp via Bluetooth with your phone or tablet. Did we mention that you can Bluetooth your music thru the Mustang too?! Awesome! How can a modern legend like the Mustang digital amplifiers be improved? Simple - Fender did it again, bigger and better with the Mustang GT. They took seven decades’ worth of experience crafting inspirational tools and use it to add new (and better) amp and effects models, while making it easier to use all of this without sacrificing one iota of power. 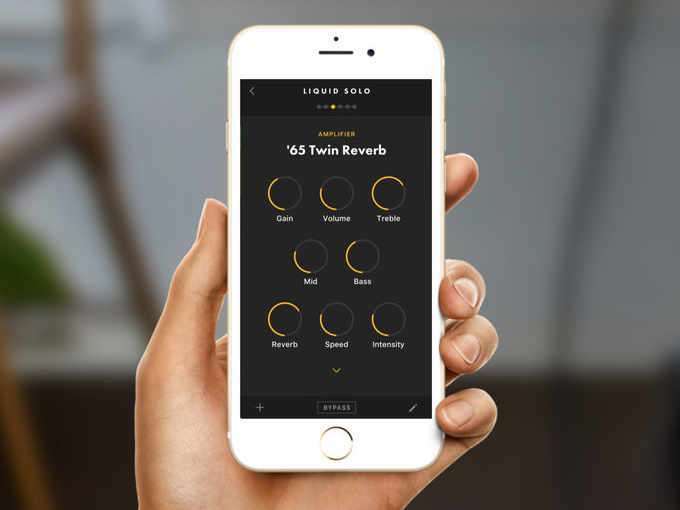 They've made it easy to control a studio’s worth of authentic amp and effects models with one finger via Bluetooth and the exclusive Fender Tone app. This is the world’s first WiFi-equipped guitar amplifier, making it easy for you to download the latest updates, access Fender artist-created Presets, and connect directly with a community of other creative players and music makers like yourself. Mustang GT digital amplifiers - awesome. Packed with 21 classic amp models—everything from the renowned ’59 Bassman to modern metal—and over 45 different effects, the Mustang GT digital amps can easily recreate classic tones or create brand-new, never-before-heard sounds. Fender developed new algorithms with even higher fidelity and more realistic response, along with more signal path flexibility so you can move effects anywhere in the signal chain for creative exploration. Program your sounds in the studio on the Mustang GT’s large, full-colour LCD display and then, with one hand, take them anywhere for the most realistic listening experience possible. Fender invented inspiring tone, and the updated amp models let your instrument’s voice and the dynamic nuances of your playing come through, reacting just like the originals to your every move. Lighten your attack to "clean up” your sound or dig in to make it grunt or howl. The Mustang GT and its speakers reproduce every part of your performance or Bluetooth wireless audio stream with precision. Adding convenient, one-finger control to the Mustang GT’s power is the easy-to-use Fender Tone app. Not only can you connect to the Fender Digital ecosystem for learning and sharing, you can easily upgrade the amp’s capabilities, adding more power and Presets without patching a single cable or plugging in a soldering iron.